Nearly three quarters of car owners (71%) have said they are now considering an electric vehicle (EV) as their next car, up from 25% in September 2017, according to research by Auto Trader. The Auto Trader Market Report features consumer research conducted with a nationally representative sample of more than 3,000 UK adults aged 18 or over, and also brings in search and pricing data extracted from Auto Trader. 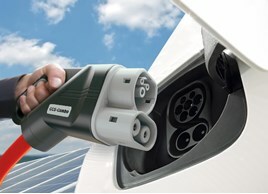 There will be more than 80 new generation vehicles launched this year, of which 31 will be plug-in vehicles. Half of car owners expect to own their first alternative fuel vehicle within the next three years. The percentage is slightly higher for under 35s at 57%. However, the traditional barriers to mass adoption remain according to Auto Trader's research. Of those not considering an EV, 56% said it was due to poor infrastructure, 46% said it was the upfront expense and 29% said it was a lack of understanding about EVs. Nearly half of current EV owners are primarily driven by the cost of the EV. Of those looking to buy an EV in the next five years this worry about costs only increased, with 58% primarily driven by cheaper running costs and 40% interested in lower upfront costs. There is still a lot of confusion about costs for an EV with 78% of respondents saying it is difficult to work out the running costs for an EV when compared with a traditional internal combustion engine (ICE). Ian Plummer, Auto Trader manufacturer and agency director, said: “There’s going to be a considerable ramp up in electric vehicle product. 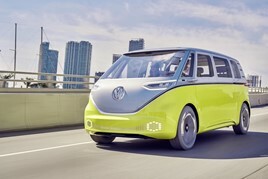 Plummer gave an example of Volkswagen investing in its MEB vehicle platform to bring down the cost of EVs by being able to manufacturer multiple EVs from the same platform. It will support compact cars, SUVs, rear-wheel drive and all-wheel drive models, all from the same platform. This will help with economies of scale to reach price parity with ICE equivalents.